The Sportsphysio.com Sports and Performing Arts Injury Clinic has over thirteen years experience working with sports groups and athletes from amateur to Olympic level providing specific event support. 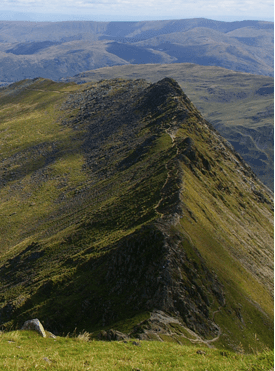 Our unique location at the edge of the Cumbrian Lake District and only an hour away from the Scottish Highlands, means that we do a great deal of work with climbers and activity organisations in the region. Providing event services for Lakes Challenge and the Olympic Delivery Authority among others. Situated just off the A69, we are also on or not far from many of the major cycleway routes such as the C2C, Lands End to John O’Groats, Hadrains Cycleway and the Reivers Route. Understanding a particular sport and mechanism of injury, is vital to the wellbeing of the athlete and we spend a great deal of time with professionals in many disciplines, learning the skills required and understanding the stresses and strains placed on the body. Special experience with ballistics and archery professionals has allowed us to assist Olympic athletes to fine tune their technique to get the best from their physique and skills. Preventative techniques are always at the forefront of our sports work and this is most evident with our involvement in motor sport, working with the driver to counteract the forces of driving at speed or in awkward conditions. We were present at symposiums for the inception of the HANS restraint system, now employed to limit head and neck injuries in F1 drivers. We will always work closely with an injured athlete and their coach, ensuring that they can maintain their level of fitness and achieve rehabilitation within the sports specific environment. If you would like us to provide support for your event, just use our “contact us” button to discuss your requirements. It is important to choose a qualified sports therapist who has undertaken all the necessary training to understand the theory and practice of this therapy area. You can check whether a sports therapist is registered with the Complementary & Natural Healthcare Council (CNHC) by searching the register at www.cnhc.org.uk. By choosing sports therapists registered with the CNHC you can be confident that they are properly trained, qualified and insured. Lakes Challenge – Offer a range of activities and training for groups and specialist services to the media, film and TV industries.